The first Dean Gera salon was launched in 2007. Today, the company has established itself as the industry leader. With its headquarters and training academy situated in Malta’s capital city, Dean Gera Hair Care operates through 7 salons and a day spa and boasts a team of over 40 individuals. The company’s strategy is built on the foundations of teamwork and always delivering the five-star Dean Gera experience from all salons. In order to achieve its long-term vision for the brand to expand overseas and ensure its successful implementation, three strategic priorities have been identified: Train – Inspire – Outperform. Dean was born in 1985 into a family of hairdressers. His mother, aunt and uncle all hold prestigious names among the Maltese locals. While he was still at school, he spent his Saturdays assisting at his mother’s salon, sweeping ﬂoors and offering clients teas and coffees. At the tender age of 16, Dean took up hairdressing professionally and worked alongside his mother for four years. After developing a solid skills set, he pursued his childhood dream of working in London with a global leader in the industry. 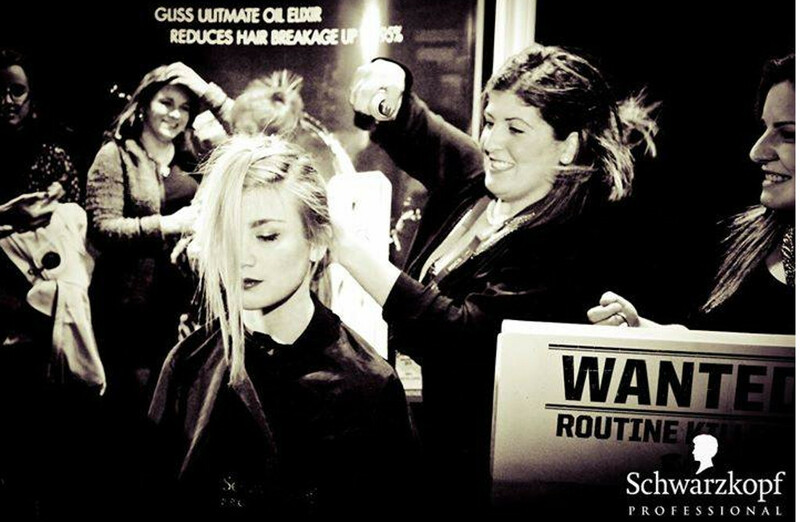 In 2005 Dean furthered his training under Trevor Sorbie in his prestigious Covent Garden salon. During this time he regularly featured in Trevor Sorbie’s backstage team for international shows and seminars, working alongside Angelo Seminara, creative director for Trevor Sorbie International. The Dean Gera brand was launched in 2007 through the Radisson Blu salon, initially operating as a sole trader with one assistant. For the next three years Dean focused on building a strong reputation and client base. The high demand for Dean Gera services propelled the opening of two new salons at the Corinthia St George’s Bay and the Corinthia Palace Hotel and Spa, Attard, and by the end of 2010 the Dean Gera company was incorporated. Since then, Dean has taken the company and the brand to new heights, becoming an industry leader and innovator. Have been going to Valletta salon for years and I never was ever disappointed. Staff are amazingly friendly. I always manage to get an appointment at a date and time convenient for me. Dean is extremely talented and I trust his opinion on cuts and styles. He genuinely CARES for his clients and is a TRUE professional. Again super satisfied. I certify that this review is based on my personal experience of Dean Gera Hair Care and is my opinion. I have no business or personal link with Dean Gera Hair Care and have not been offered payment to write this review. By providing these comments you give Good Salon Guide permission to review and publish this information. Good Salon Guide reserve the right to edit comments for length, spelling or clarity where appropriate. As part of this appointment request Good Salon Guide will record your name, email address, telephone number and appointment details. This information will be passed to Dean Gera Hair Care by email, through the Good Salon Guide app and over the telephone. This data will not be shared with any other companies and we will manage your data in line with your preferences below.